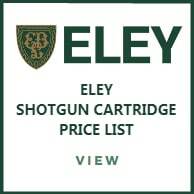 We are a main south east stockist for Gamebore, Eley and Hull Cartridges. 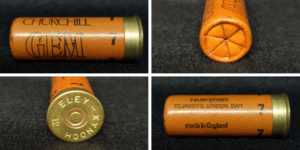 Whether you’re buying for yourself, or are part of an estate or clay club, we’ll have ammunition to suit your exact requirements. As the largest shotgun stockists in the South East, you can rely on us for high performance shotgun cartridges for your clay and game shoots. 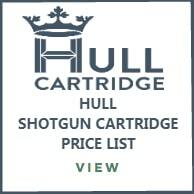 Currently, we stock 10, 12, 16, 20, 28 bore cartridges and specialise in 410 cartridges. 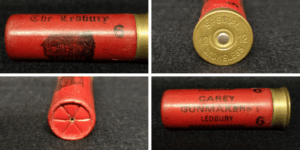 WHAT SHOTGUN CARTRIDGES SHOULD I USE? 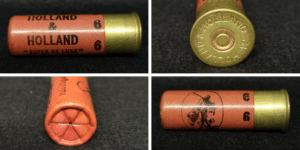 On most clay shoots you will only be allowed to shoot up to a 28 gram shotgun cartridge. These can be in either 7.5, 8 or 9 shot. Most game loads will start from a 28 gram and include the most popular 30 gram and 32 gram cartridges. Some loads can go up to 60 gram. Game loads will mostly be used in either a 5 or 6 shot, but can also be found in a 7, 4 or 3 size shot. Your choice is personal, as you should use the size you’re comfortable with. For the gun and cartridge combination that best suits your needs, be sure to contact our team. With decades of combined experience in the industry, we can go through our range of calibres and shot loads available – and identify the ideal choice for you. With huge improvements in the reliability of primers and powders, as well as uniformity of shot, now is the time to take up a shooting hobby. 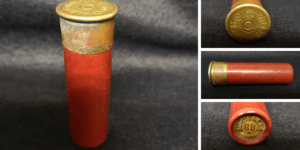 For seasoned shooters, you’ll appreciate the performance of both traditional paper and newer plastic cartridge cases on offer, and can choose between fibre or plastic wads – both reliable and offering a uniform shot. 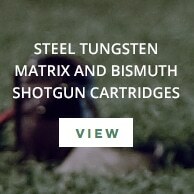 STILL NEED HELP CHOOSING YOUR SHOTGUN CARTRIDGES? Call us or visit our store in West Malling, Kent. All shotgun cartridges must be purchased directly from our shop, where our team will have current stock availability to hand. With deliveries every week, our stock list is extensive. Please call ahead to check stock availability. We’re able to order in any stock you require if we do not currently have it. 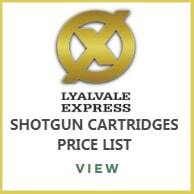 Finally, All prices include VAT and Countryway Gunshop reserves the right to amend these prices at any time. WHEN PROVIDING A VALID SHOTGUN CERTIFICATE COLLECTION IN STORE ONLY. 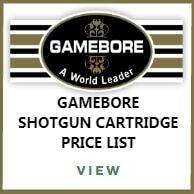 SHOTGUN CARTRIDGES MUST BE PURCHASED DIRECTLY FROM OUR SHOP.